Spacenews is reporting that in the wake of a critical report by the National Research Council, the United States Air Force is cancelling its Reusable Booster Program, citing budget concerns. The program sought to develop a horizontally launched, partially reusable booster which would be powered by a staged combustion kerosene/oxygen engine. The winged booster would have carried an expendable cryogenic upper stage responsible for lifting payloads to orbit. Currently Boeing, Lockheed Martin and Andrews Space are holding preliminary study contracts which are set to expire in December. Among the criticisms leveled by the NRC report, was the fact that the Air Force failed to make a business case for the program, and in particular based projected cost savings against current EELV’s operated by United Launch Alliance, without taking into account the fact that other companies, SpaceX and Stratolaunch (carrying a SpaceX booster) could offer substantially lower prices than the current baseline, and thus undercut the case for the new program. It should be pointed out that the Air Force also did not consider the reusable work currently being performed by SpaceX with the Falcon Reusable, and seemingly, the work being performed by Blue Origin on its own vehicle as well. In the latter case, the Blue Origin effort appears to be aimed producing at an updated, two stage version of the DC-X , a program which began in military in the first place. 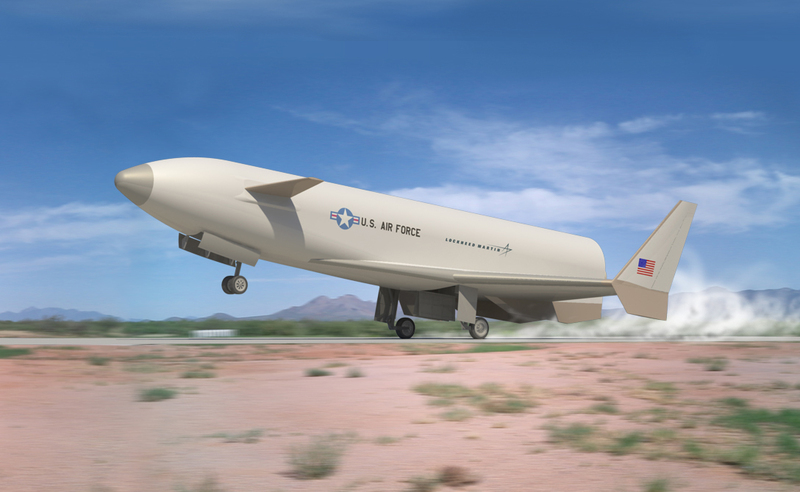 Although open to interpretation, the Air Force effort was somewhat troubling in that it seemed (unsurprisingly) geared to benefit two of its favorite contractors, Boeing and Lockheed Martin, in much the same way it has with the ULA launch monopoly. And it still may. The NRC endorsed continued research into developing a high pressure, staged combustion engine which would eventually replace the Russian built RD-180 main engine which powers the Atlas V.
This is an admittedly tricky issue, and hopefully there is an even-handed way out, but if research proceeds into development, one could easily view such a program as a taxpayer funded effort to benefit ULA and Lockheed Martin by paying for a new main engine, at the same time SpaceX, Blue Origin and other companies are left to develop their own. It is worth remembering that as the Space News story points out, (and this GAO report states ) at various points throughout the EELV program, Lockheed Martin indicated that it would team with Pratt and Whitney Rocketdyne to initiate production of US version of the Energomash engine. Somehow, it never happened even as the defense giant, through ULA, continued to decry the state of the US industrial base. While there is clearly no doubt that reusable launch systems are desperately needed if we are to ever open up the space frontier, an open sourced COTS style program which allowed for both horizontal and vertical solutions, would almost certainly be a much more productive approach. And it need not start with huge funds or focus only on current providers. With XCor, Virgin Galactic and Stratolaunch all pursuing winged vehicles capable of carrying payloads of various sizes, and SpaceX, Armadillo, Blue Origin and others following vertical ascent, there is enormous potential for smaller and more affordable proof of concept work aimed at learning to recover and reuse not just one stage of a launch system (besides the carrier aircraft) but all of them. 2 Comments on "USAF Shelves Reusable Booster Program"
Good write-up. I agree that the USAF going about RBS in a conventional way is probably the wrong way to get anything done – not to mention the most expensive. It certainly does seem like the part of the Air Force that was pursuing the reusable booster technology was separate from the part of the Air Force that was looking at using competition to lower costs. I’m glad the panel pointed out the obvious, and hopefully the program is cancelled. As to the R&D part, I guess it would be useful, but it depends on who is partaking in the program – if none of the current reusable rocket efforts are part of the effort, then what’s the purpose?